May 24. Bob Dylan’s’ birthday. 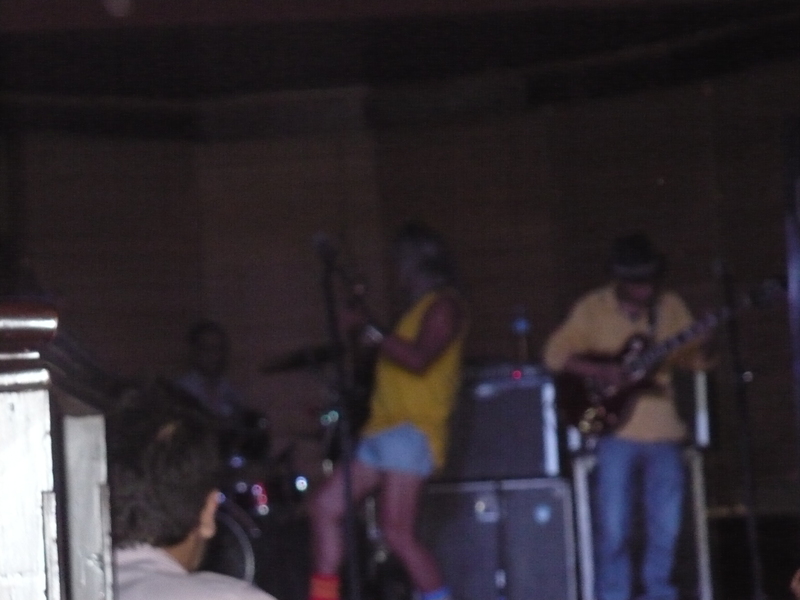 An event that Shillong (capital of rock music in India) celebrates with an annual musical concert. It has been so for 40 years now going back to 1972 when the first was organized by Lou Majaw, local boy & die hard Dylan fan. It has been Lou’s’ tribute to the Prince of Blues & Rock n Roll ever since. May 24,2013. My trip to Meghalaya is planned around this date. 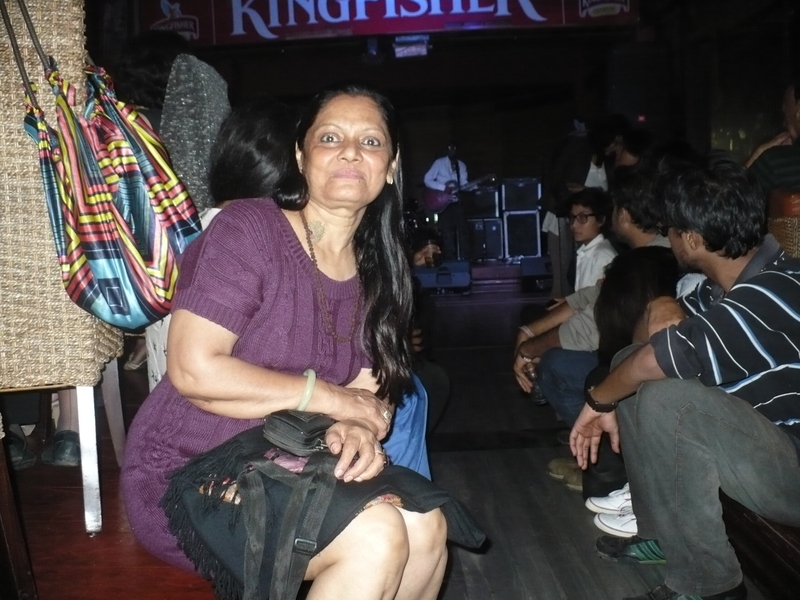 The concert is at Cloud 9, a bar at the Centre Point in Shillong. I run into Lou bounding up the stairs even before the show has begun. 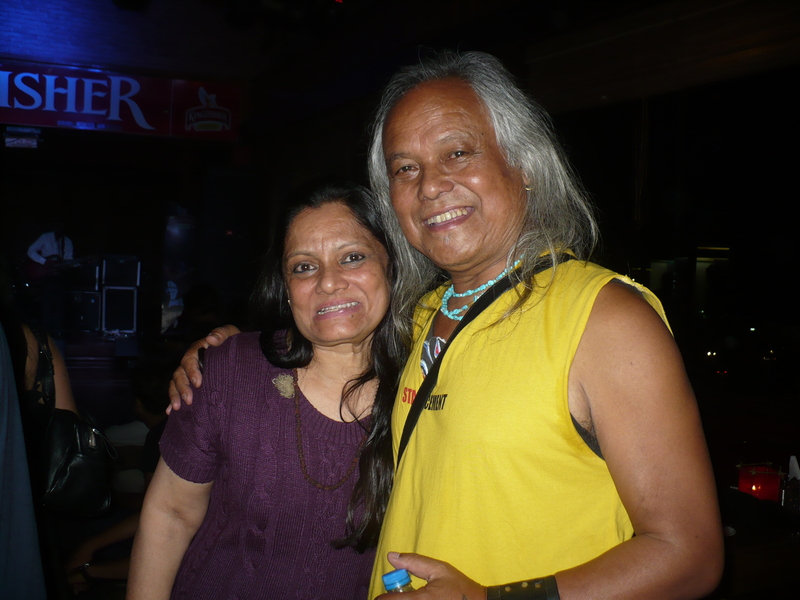 He is ecstatic knowing that I am a Bob Dylan fan too & have especially flown in from Delhi for the event. Cloud 9 is suffused with Dylan-mania, palpable in the air with fans of all groups & ages. The bar is smoke filled, liquor filled. With no taboos or restrictions it is easy to sit & relax & I do precisely that with a ‘Pina Colada’, which soon topples over – glass broken, splinters across the floor, contents all over my dress – in the excitement of Bob/Lou. It is a mesmerizing 4 hours. There is a large Calcutta crowd. Also many from elsewhere in the northeast. Happy birthday Bob. May you have many more. 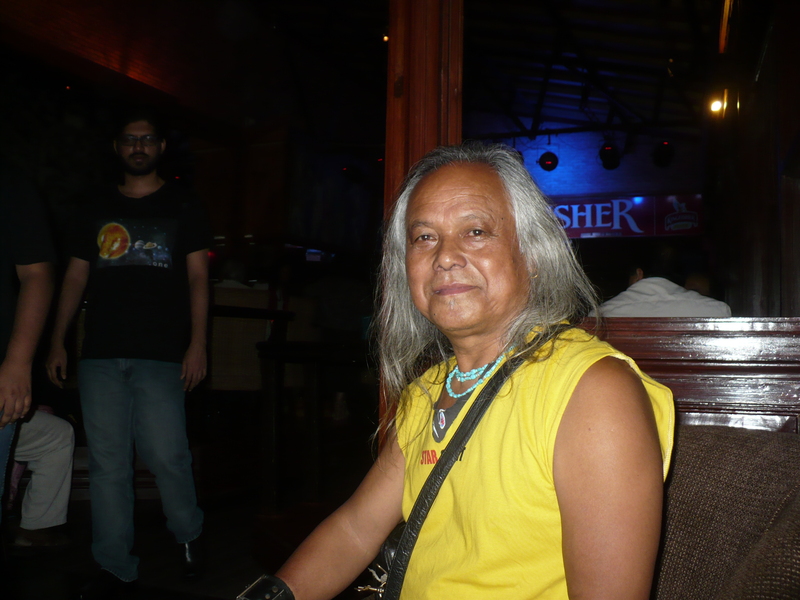 This entry was posted in Personal, Travel and tagged blowing in the wind, Blues, Bob Dylan, Cloud 9, Forever young, Geetu Hinduja, House of the Rising sun, Lou Majaw, Pina Colada, rock n Roll, Shillong, Tambourine man, the times they are a changing. Bookmark the permalink.